Representatives of Turkish Airlines are in Seychelles holding meetings with relevant authorities ahead of the start of they new service to the islands at the end of September this year. Fatih Mehmet Kursun, their General Manager for Mauritius, Madagascar and now Seychelles accompanied by Dr. Taner Erim, the Manager International Relations and Agreements for Middle East and Africa and Yakup Gozubuyuk, their Expert for International Relations and Agreements for Middle East and Africa paid a courtesy call on Minister Alain St.Ange, the Seychelles Minister responsible for Tourism and Culture at the Ministry’s ESPACE Offices in Victoria. Discussions that centered on the arrival date of the airline’s first flight to Seychelles at the end of September was also the opportunity for Turkish Airline to review their target source markets for Seychelles as well as conditions presented to them for their operation in Seychelles. 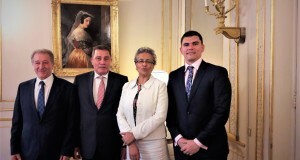 Present also at the meeting was Sherin Naiken, the CEO of the Seychelles Tourism Board who confirmed to the Turkish Airline delegation that their marketing and sales people were already actively working with the Tourism Board in countries already identified as target markets for Seychelles. 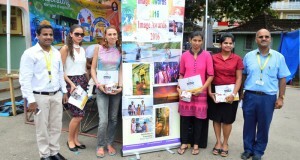 Turkish Airlines are launching their Seychelles service with three flights and are hoping to increase the number of flights to the islands in the near future. “We are happy to see the arrival of Turkish Airline to our shores. 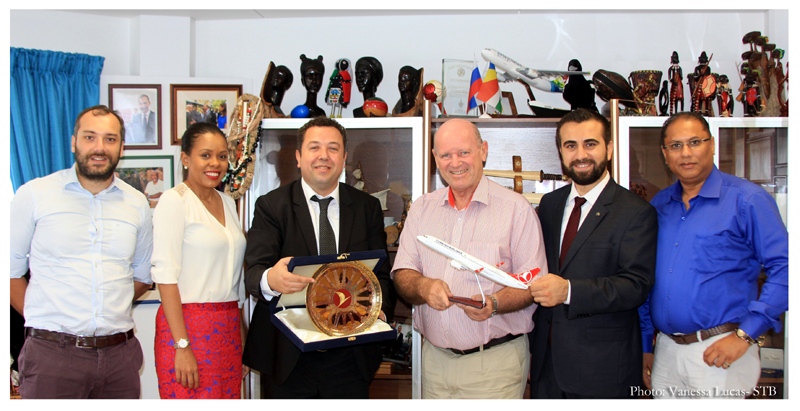 We are a mid-ocean tourism destination that remains dependent of adequate air access to make our tourism industry work” Minister St.Ange said as he was presented with a replica model of the plane that will be on the Seychelles route from the end of September this year.